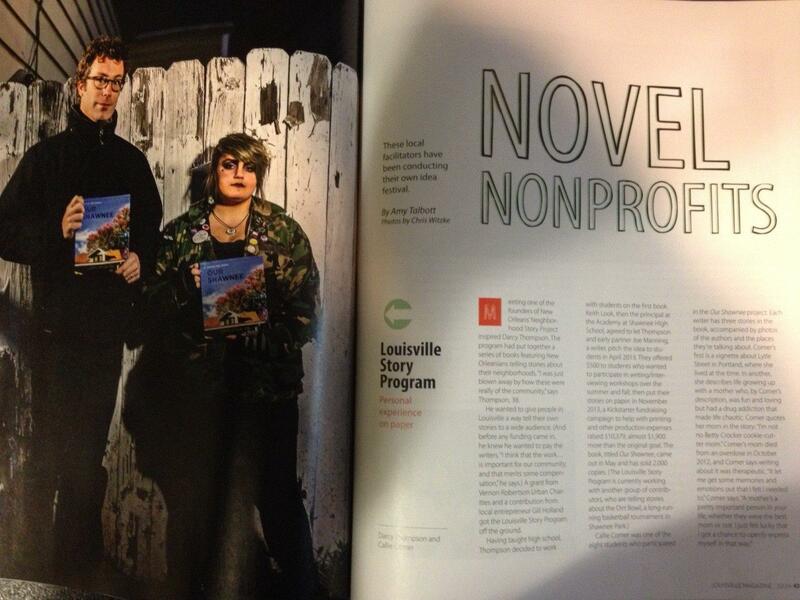 Louisville Magazine recognizes LSP as a "Novel Nonprofit"
Nice little spread about LSP in this month's Louisville Magazine! At Callie's suggestion, the photo was taken in front of the house where she grew up. We're thrilled that they decided to highlight us among a handful of small nonprofits they deem worthy of philanthropic support! Our Shawnee is one of Carmichael's Bookstore's "10 must reads by Kentucky writers"